Tells the story of lovers of an unmarried couple whose love was torn in-between through the influence of a conniving mother in law. No one would suspect until the end. 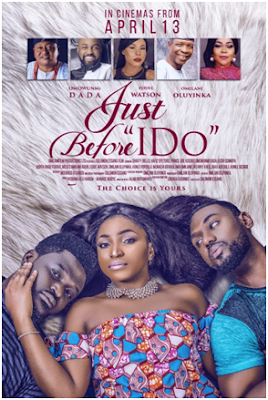 Most Nollywood stories run almost on the same plot giving the audience everything even before the movie elapse however, ‘Just Before I Do’ stands tall. Starring Omowunmi Dada, Eddie Watson and Omilani Olayinka. Other casts in the movie include Chief Jide Kosoko, Kalu Ikeagwu, Shaffy Bello, Afeez Oyetoro (Saka), Judith Audu and more.